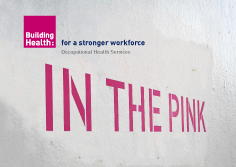 Building Health Ltd is a nurse-led occupational health provider working in the construction industry. We provide fitness for work and health surveillance for your workers. We are based in London but cover Great Britain and Northern Ireland. We will go to wherever you are working, whenever you need us. We see each person individually with no forms for them to complete. We report our findings to you and issue a fitness certificate. Get fit for work and comply with the law!